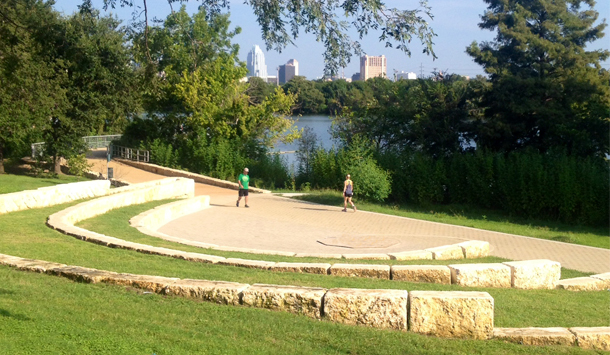 This month, RVi began work on enhancements to the Boardwalk Landing Zone, a .25 mile segment of trail and surrounding parkland located at the eastern terminus of the recently-completed Lady Bird Lake Boardwalk project. With the completion of the Boardwalk project, this piece of trail is enjoying increased visibility and use. The vision for the Boardwalk Landing Zone is to provide a family-friendly amenity that will feature a variety of uses and trail types. 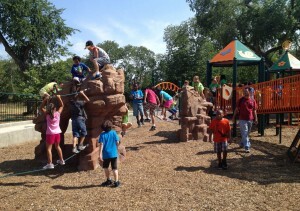 The program elements include new trail connections, restoration and stabilization of the shoreline, added shade, informal gathering spots, picnic and play areas, and other landscape improvements. The Boardwalk Landing Zone is RVi’s second project for the Trail Foundation. 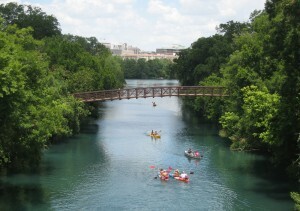 In 2008 we completed the Trail at Lady Bird Lake Vision Plan, a guide that continues to serve the Trail Foundation in determining future developments and enhancements to the trail.